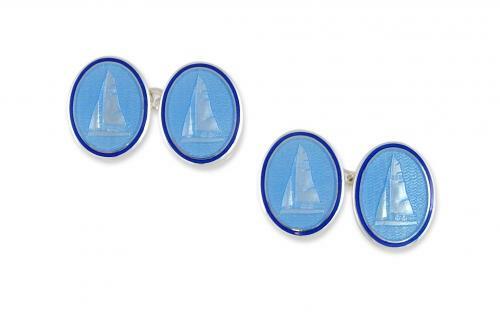 Fine quality enamel chain cufflinks with blue boat design. Set in sterling silver. Gift boxed.